14 December 1942: Keel laid by the Consolidated Steel Corp., Ltd., Orange, Tex. 26 February 1974: Sold for scrapping to the Southern Scrap Material Corp., New Orleans, La. 89k Norman Von Heidreich Farquhar was born in Pottsville, Pennsylvania, on 11 April 1840 and attended the U.S. Naval Academy during 1854-59. After graduation, he served with the Africa Squadron until September 1861. Lt. Farquhar spent most of the Civil War off the U.S. Atlantic coast and in the West Indies, serving in the gunboats Mystic, Sonoma and Mahaska and the cruisers Rhode Island and Santiago de Cuba. He was promoted to the rank of Lieutenant Commander in mid-1865, a few months after the fighting ended, and was on duty at the U.S. Naval Academy from then until September 1868. 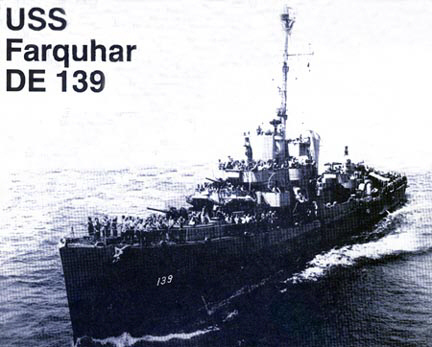 For the rest of the 1860s and into the next decade, Farquhar served in the warship Swatara, was Executive Officer of USS Severn and USS Powhattan and Commanding Officer of USS Kansas. He also had two tours at the Boston Navy Yard on ordnance duty and as Executive Officer. Advanced in rank to Commander in December 1872, Farquhar spent nearly five years at the Naval Academy. He commanded the training ship Portsmouth in 1877-78, and the steam sloops Quinnebaug and Wyoming in European waters in 1878-1881. Five more years of Naval Academy duty were followed by torpedo instruction at Newport, Rhode Island, in 1886. From May 1887 until her loss in the March 1889 Samoan hurricane, Captain Farquhar commanded the steam frigate Trenton. He then served on several of the Navy's boards and, in March 1890 became the Chief of the Bureau of Yards and Docks. During 1894-97, he was Commandant of the Philadelphia Navy Yard, Commanding Officer of the cruiser Newark, and President of the Naval Examining Board. While holding the ranks of Commodore and Rear Admiral, Farquhar was Commandant of the Norfolk Navy Yard in 1897-99, commanded the North Atlantic Station during 1899-1901 and was Chairman of the Lighthouse Board in 1901-02. He retired from active duty in April 1902, upon reaching the statutory service age limit of 62. 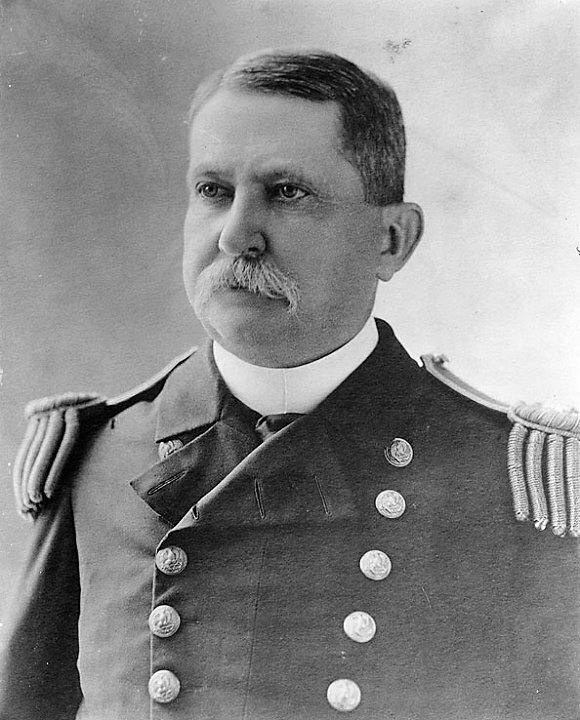 Rear Admiral Farquhar died at Jamestown, Rhode Island, on 3 July 1907.